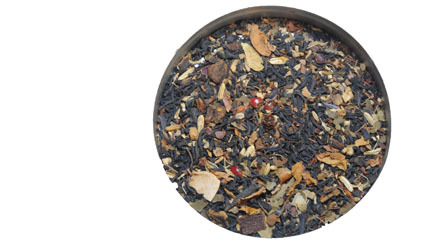 Friendship Tea is our Tea Blend No.12. Consists of Indonesia Premium Black Tea, Chinese Red Fruit Tea, African Rooibos, Spices, Almond Pieces, Chocolate Pieces, Marygold Flowers, French Rose, and Citrus Skin, this blend has a spicy taste yet flowery aroma. It is a perfect tea to be consumed with cakes or sweets to balance the taste. Brew with hot water or add ice or honey as desired. If tea is the language of the world, let our Tea Blend No.12 holds our hands together.